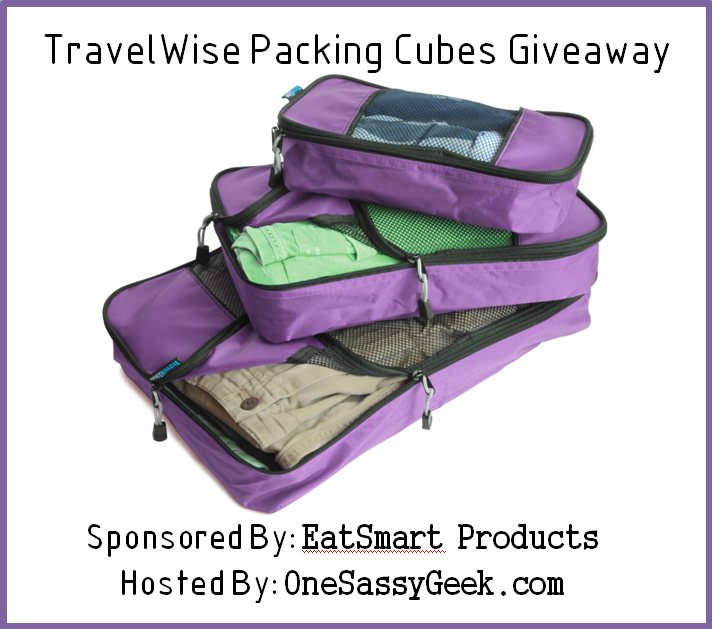 EatSmart Products was generous to give One Sassy Geek a free TravelWise Packing Cube System to try and review. The TravelWise 3 piece packing cube set is a travel essential that allows clothes to stay folded and neat when packed in their own “small drawers”. The cubes are fantastic for staying organized on short travels and long travels alike and help you avoid over packing. Constructed of lightweight, durable nylon, these multi-sized cubes allow you to compartmentalize similar items such as shirts, pants, undies and electronic accessories and streamline packing. How smart is this! A simple, yet great way to make things so much easier when you are traveling. There is so much to do and see out there, this set lets you do it with ease! Read what One Sassy Geek thinks about the TravelWise Packing Cube Set. We travel to Florida a lot, but we will be moving to Europe next year and these would be super helpful! I’d use this set to help me pack and visit our out of state family!